Kurt Busch has driven very well in the first three races of the Monster Energy NASCAR Cup Series this season. He finished eighth in Folds for Honor 500 at Atlanta Motor Speedway two weeks ago and was running in the top-10 at Daytona (Fla.) International Speedway and Las Vegas Motor Speedway before late-race accidents derailed his day. Busch, driver of the No. 41 Mobil 1/Haas Automation Ford Fusion for Stewart-Haas Racing (SHR), is a Las Vegas native, so he very much enjoys the three races that make up “NASCAR Goes West.” Part two of NASCAR’s three-race swing out West is the TicketGuardian 500k at ISM Raceway near Phoenix. Getting the opportunity to race at the mile oval in the desert west of Phoenix – the same track where he had cheered for many of his racing heroes – was a dream come true for Busch. Racing at the track was like a home game for Busch, who also attended college for several semesters at the University of Arizona, just down the road in Tucson, before making it in NASCAR’s big leagues. While he was coming up through the ranks, Busch made a number of race starts at Phoenix, competing in series such as NASCAR’s Southwest Series tour. Then, in 2000, Busch took to the track for the first time as a competitor in NASCAR’s top touring series, competing in both the Camping World Truck Series race in March, in which he finished fourth, and then in the Monster Energy NASCAR Cup Series race in November later that same season, when he finished 29th. Since his first NASCAR Cup Series start at Phoenix, it has been a track where Busch has performed consistently. Busch has one win, seven top-five finishes and 17 top-10s at the mile oval. Additionally, the 39-year-old driver has led 751 laps, has an average starting position of 12.2, an average finish of 13.7, and has completed 99.6 percent – 9,322 of 9,363 – of the laps he’s contested there. It’s also the final race at what can be considered the old ISM Raceway. The start-finish line will be moved to turn two and the original grandstands will be torn down by the time the series returns in November. The garages will be replaced, as well. Mobil 1 serves as Busch’s lead sponsor at Phoenix this weekend. The company provides a unique combination of experience and innovative thinking to deliver enhanced performance results on the track. The relationship between SHR and Mobil 1 represents an ambition, backed by science, to provide drivers with the best possible lubricant technology solutions. Mobil 1 continues to provide on-track testing that helps lead to new lubricant technology developments like Mobil 1 Annual Protection, which allows drivers to travel up to 20,000 miles – or one full year – between oil changes. 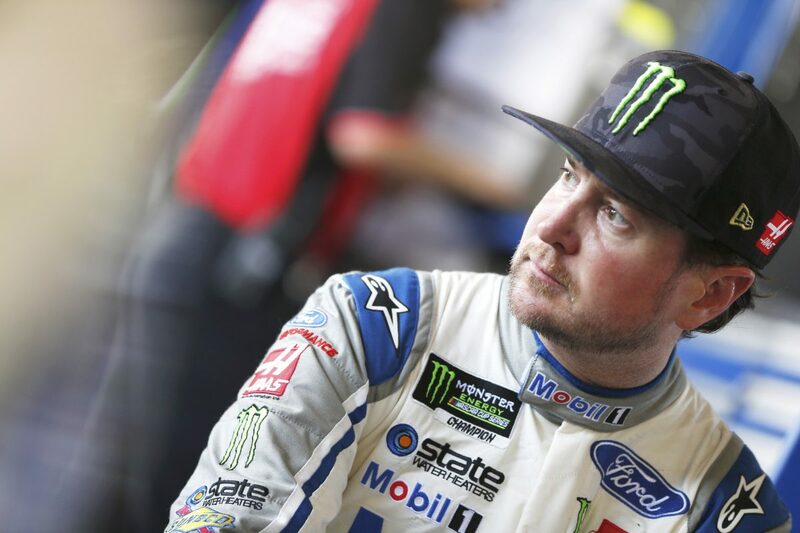 With Mobil 1 and Haas Automation supporting him this week, Busch would love to score career victory number two at Phoenix, as well as number 30 in the Cup Series. It would be a fitting “end” to the current racing era ISM Raceway. It’s the last race at the “old” version of ISM Raceway. Any thoughts on that? What do you feel you need to work on at Phoenix to continue the success you’ve had there? What makes Phoenix such a unique racetrack?